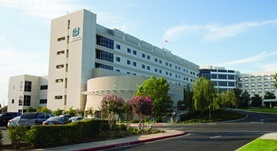 Dr. Ivan Ramirez is a radiology specialist in Fresno, California and he works at several hospitals in the area, including Fresno Heart and Surgical Hospital and Community Regional Medical Center. He got his diploma from University of Puerto Rico School of Medicine and did his internship at Nassau University Medical Center, where he also completed his residency in Radiology. The doctor is board certified in Diagnostic Radiology and has an experience of more than 20 years.